There are a few solid candidates for the best F1 overtake of all time. Mika Hakkinen on Schumacher at Spa in 2000, Mark Webber going ahead of Fernando Alonso through Eau Rouge in 2011, or perhaps any one of the countless lunges in the Gilles Villeneuve/René Arnoux battle at Dijon in 1979. But for my money, the best pass of all happened (ironically) at a track which has become infamous for being difficult to pass on - the Hungaroring. Ayrton Senna had qualified his Lotus on pole for the first ever Hungarian Grand Prix and initially led away, but on lap 11 Nelson Piquet took the lead. The tight, twisty and dusty track meant that pitting for new tyres would be the quickest way to complete the race and during this phase, Senna got back in the lead. The two went at it for lap after lap as Piquet tried to close down the gap. Eventually, he got close enough to have a go down the inside into turn one, but Senna forced him onto the dusty part of the circuit and the Williams slid wide (the failed pass features at the two-minute mark in this video). Two laps later and Piquet was back with Senna. He was close enough to have another attempt at passing, but this time he’d do things differently. 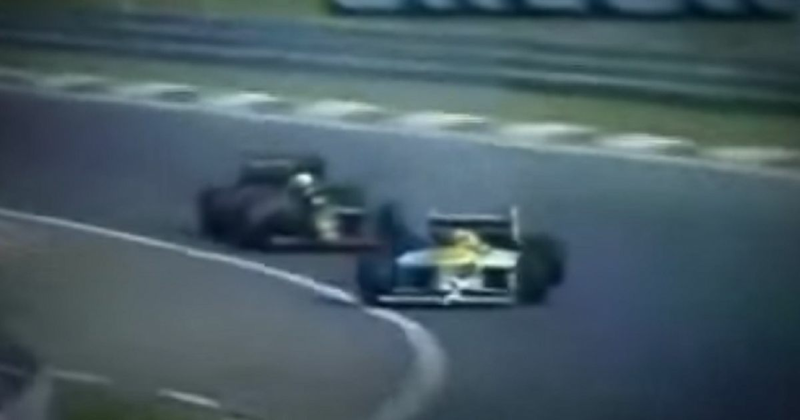 Senna once again moved to defend the middle of the road, but Piquet decided to go around the outside this time. It worked. Even though his rear brakes locked up, Piquet demonstrated incredible car control and somehow managed to drift around the outside of his countryman, reaching the apex in time to stay ahead. The two continued to trade lap times with each other but eventually, Piquet eased away and went on to win the race, thanks in part to his incredibly daring and skilled overtake. There’s even a rumour that Piquet gave Senna the finger as he was passing him in response to being forced across the track on his previous attempt, which sounds like a very Nelson Piquet response.